As we have clearly seen in the first part of this article it is the will of God for us to sit comfortably in the finished work of Christ before we can start to walk effortlessly. Every time we reverse this divine order the result is disaster. Because Jesus has done everything for us and as a result God has made us sit together in the heavenly places in Christ Jesus (Eph 2:6), we only need to rest in this truth before we can see the grace of God act powerfully in us and carry us to walk effortlessly in His strength. Thus all our great spiritual experience begins from the rest based on the finished work of Jesus Christ. But it does not end there. Though we begin our Christian life with sitting, once we sit comfortably we do in fact begin to walk. After we get strengthened by the revelation of the power and authority of Christ in us and acting through us, we need to start walking by the consciousness of His power working through us. Once God begins to unveil the eyes of your understanding by enlightening it, then you may know what is the hope of His calling, what are the riches of the glory of His inheritance in the saints and what is the exceeding greatness of His power toward you who believe according to the working of His mighty power (Eph 1:18-19). In other words, after the illumination we receive of our power and authority in Christ Jesus, the greatness of the power of God will start to work through us. Sitting describes our position of rest that has come to us by revelation. Walking is the practical outworking of the exceeding greatness of His power working through us on earth. Unless the heavenly power and authority is worked out, practiced and exercised in the natural by walking effortlessly in our dwellings and offices, our shops and kitchens, it will be meaningless to say that we are seated comfortably in the heavenly places in Christ Jesus. Eph 2:10 - "For we are His workmanship, created in Christ Jesus for GOOD WORKS, WHICH GOD PREPARED BEFOREHAND THAT WE SHOULD WALK IN THEM." Eph 4:1, 2 - "I, therefore, the prisoner of the Lord, beseech you to WALK WORTHY OF THE CALLING with which you were called with all lowliness and gentleness, with longsuffering, bearing with one another in love"
Eph 4:17, 23 - "This I say, therefore, and testify in the Lord, that you should NO LONGER WALK AS THE REST OF THE GENTILES WALK, in the futility of their mind,[BUT]...BE RENEWED IN THE SPIRIT OF YOUR MIND"
Eph 5:2 - "And WALK IN LOVE, AS CHRIST ALSO HAS LOVED US and given Himself for us, an offering and a sacrifice to God for a sweet-smelling aroma." Eph 5:8 - "For you were once darkness, but NOW [YOU ARE] LIGHT IN THE LORD. WALK AS CHILDREN OF LIGHT"
Eph 5:15 (AMP) - "LOOK CAREFULLY then HOW YOU WALK! LIVE PURPOSEFULLY and worthily and accurately, not as the unwise and witless, but as wise (sensible, intelligent people)"
The word 'walk' occurs 7 times in 6 verses in the book of Ephesians. The Greek word used for the word 'walk' is 'peripateō' [pronounced pe-rē-pä-te'-ō] which means ' to walk, to make one's way, progress; to make due use of opportunities, Hebrew for - to live 1) to regulate one's life 2) to conduct one's self 3) to pass one's life'. From all these meaning we can say that ‘to walk’ is to keep ourselves moving towards a better life of victory over self, freedom from bondages and liberty in the Spirit. All these things are prepared for us by God beforehand to walk in them. In Christian life good works that we do are not decided by us, but it is decided by God and also directed by God as we seek Him day after day to fulfill His will for our lives and glorify Him. This is the reason Jesus taught the disciples to model their prayer to say to God the Father, “…Your will be done on earth as it is in heaven” (Matt 6:10). In other words Jesus was teaching the disciples to ask God to do His preplanned good works through their lives as He does in heaven. Not only God directs us with His counsel (Ps 16:7), but also He wants to be the source of our strength to fulfill the work preplanned by Him (Is 26:4; Ps 84:5; 1 Ch 29:12). This is the true godly walk which is worthy of God because He becomes the director and executor. He becomes the counselor and also source of the strength to fulfill His desired counsel. To walk worthily is to attend the divine celebration of the wedding feast of God with His robe of righteousness and ring of authority which is based on His calling with which He has called us (Matt 22:11-12, 14; Luke 15:22). Jesus has called us as friends (John 15:13-15). God has predestined us to adoption as sons by Jesus Christ in to His family and has called us as the children of God (Eph 1:5; 1 John 3:1). To walk worthy of God’s calling to be His sons and daughters starts with a decision on our part to come out of our old pattern of sinful thinking and separate ourselves by believing the promises of God which will make us to hate touching what is unclean (2 Cor 6:17-18). We need to keep wearing the robe of righteousness by faith and walk by faith as we continue in this process of holiness (Is 61:10; 2 Cor 5:7). We also need to be filled with the knowledge of His will so that we may walk worthy of the Lord, fully pleasing Him by our faith life which will make us to be fruitful in every good work (Col 1:9-10). The work we do by our godly walk must be done by being filled with the knowledge of His will. Only this can please the Lord. The unbelievers walk in the foolishness of the will of their soulish mind which is influenced by Satan’s thoughts and desires (2 Cor 4:4). The unbelievers because of lack of faith become blinded to the spiritual reality of God and His ways of purpose and purity. In their blindness they will keep fulfilling the works of their father the devil because devil would have made them to believe his lie as the genuine (John 8:43-45). We as the saints of the Most High God should put on the new man of the spirit and put off the old man of our soul by renewing the spirit of our mind. The ‘spirit of our mind’ is the quickened soul that thinks in a particular mode of thinking and judging by our thoughts, feelings, purposes and desires. As we renew our thoughts by identifying ourselves with the finished work of Christ, godly feelings, purposes and desires will follow to dominate our whole body system. This is the true godly person’s walk of holiness. The next important part of walking the God-life on earth is to walk in love. The word of God says “God is love” (1 John 4:8). In other words, the very essence of God is to love unconditionally forever. We love God because He first loved us unconditionally (1 John 4:19). We cannot produce love apart from God who is the true source of it. To live and grow in love is a process. The only royal command that Jesus has commanded us to fulfill in the New Testament is to love one another (John 15:12, 17). Once we obey this commandment, it is equal to fulfilling all the commandments of the Old Testament perfectly (Rom 13:8-10). This is the reason Apostle John confidently assures us by saying, “Beloved, let us love one another, for love is of God; and everyone who loves is born of God and knows God.” (1 John 4:7). In other words, a person cannot really love people unconditionally like God unless He is born of God and knows God by experience. The Bible says that “…the love of God has been poured out in our hearts by the Holy Spirit who was given to us.” (Rom 5:5). The Holy Spirit is the executive agent of God who acts as a conduit to bring the love of God from heaven to the heart of every one of us in order to make us walk in God effortlessly. We need to ask God hoping to get filled with the love of God in order to forgive others and love them in spite of their weaknesses or evil mindedness. This is the process which has been described in the previous verses in Rom 5:3-4, “we ... glory in tribulations, knowing that tribulation produces perseverance; 4 and perseverance, character; and character, hope. 5 Now hope does not disappoint, because the love of God has been poured out in our hearts”. The end product of all the trials that we go through in life is the love of God. The more we walk through the trials and tribulations that God allows us to go through, the more we will be able to walk effortlessly in the love of God. As we grow and mature as sons, God will grant to us all the riches of His glory, which will strengthen us with might through His Spirit in the inner man so “that Christ may dwell in [our] hearts through faith; that we, being rooted and grounded in love, ....may be able to comprehend [by experience and] know the love of Christ which passes knowledge; that we may be filled with all the fullness of God.” (Eph 3:15-19). Once we move above the line of love that passes knowledge, we end up with God sitting in His fullness inside us. This is when we will begin to experience and feel that “…in Him we live and move and have our being… [because] we are also His offspring.” (Acts 17:28). Praise the Lord! In the Bible light is always referred to the revelation of truth, and darkness to the veil of satanic deception to hinder people from seeing the truth of God (Luke 1:79; Acts 26:18). Also good deeds were compared to be man’s outworking of the source of God’s light and evil deeds were compared to be man’s outworking of the source of Satan’s darkness inside them. In other words, a man’s love for God’s light will make him to allow good deeds of God to be done through his body, at the same time a man’s love for darkness will make him to allow the wicked evil deeds of Satan to be done through his body (John 3:19). So only Apostle Paul in Rom 6:16, “Do you not know that to whom you present yourselves slaves to obey, you are that one’s slaves whom you obey, whether of sin leading to death, or of obedience leading to righteousness?” When we are activated by our soulish mind, it will lead to sin which will prevent us from doing good deeds of God. When we obey God as His slave we will increase tremendously to do God’s work unhindered by any satanic interruption. According to the truth of God’s word nothing can separate us from the love of God which is in Christ Jesus our Lord, this truth is a reality from the spiritual view point of God from heaven (Rom 8:35, 37-39), however when we commit sin it gives legal space in our soul for Satan and his evil minions to speak condemnation in to our mind continuously (1 Peter 2:11). As the Bible says in Isaiah 30:18, “…For the LORD [is] a God of justice”. In the natural God is still a God of justice who hates sin as He hated it two thousand years ago. So by His justice He allows Satan to influence a believer’s life according to each believer’s actions (1 Cor 5:5; 2 Cor 12:7; 1 Tim 1:20; 5:15). Satan can also take advantage over a believer to influence him wrongfully as long as that believer is ignorant of Satan’s devices of deception (2 Cor 2:11). In other words, if a believer does not effortlessly walk in the ways of God because of ignorance, Satan will take advantage over the believer to steal, kill and destroy him by all means. Satan will make the believer to strive for the victory that is already his in Christ Jesus. The believer does not walk to achieve victory, but a believer walks effortlessly in the victory of Jesus Christ that he has achieved for each one personally on the Cross. The Good thing is, God is also the God of mercy as He was two thousand years ago (Ps 59:10, 17). When a believer approaches God anytime to appropriate His mercies and receive His grace in time of his need, that is when God’s mercy will triumph over His judgment (James 2:13). God will always show His mercies to the believer as long as His throne is approached because He has already judged Jesus for all our sin on the Cross (Col 1:19; 2:13-16). Thank God that the believer can again return back to God anytime by renewing his mind with the message of forgiveness through the blood of the Cross. Do not allow anyone to judge you based on your behavior on the outside because we are the embodiment of the revelation of God’s truth who is called as light in the world of darkness (Eph 5:8; 1 Cor 2:15; 4:3). Because you are having the light of the life of God within you, choose to effortlessly express the character of God through your daily life in the world. So only Jesus told, “As long as I am in the world, I am the light of the world." (John 9:5) and then He pointed to the believer’s and said, “14 “You are the light of the world. A city that is set on a hill cannot be hidden. 15 Nor do they light a lamp and put it under a basket, but on a lampstand, and it gives light to all who are in the house. 16 Let your light so shine before men, that they may see your good works and glorify your Father in heaven" (Matt 5:14-16). Here Jesus is saying in the above verse that the revelation of God’s character working effortlessly through you cannot be hidden because God has adopted you as His children just to reveal His heavenly character through your life. Jesus is also then encouraging us the believers to freely and effortlessly express the good works of our Heavenly Father who is in heaven which will bring glory to Him through us. This exhortation of Jesus is no way pointing us to strive for a spirituality that we do not have but yet to attain. This is the reason Jesus said to the believers, “… I am the Light of the world. He who follows Me will not be walking in the dark, but will have the Light which is Life.” (John 8:12, AMP). In other words Jesus Himself is guaranteeing His followers who believe in Him will become the light that Jesus is, which is the life of God present within them. This light of the life of God will be so powerfully illuminating in and through the believers that they will no way be able to continue walking in darkness willingly. Praise the Lord! The only thing that the believer need to look in his own life is to check whether he is renewing his mind constantly and get transformed in his effortless walk in Christ (Rom 12:2). When we renew our mind constantly we will be automatically living our life purposefully, worthily and accurately. So only if the basics are done right, the rest is assured because the word of God says, “So all of us who have had that veil removed can see and reflect the glory of the Lord. And the Lord—who is the Spirit—makes us more and more like him as we are changed into his glorious image.” (2 Cor 3:18, NLT). When we willingly give ourselves to God and freely express the life of God within us, very soon we will become God’s mature sons and daughters because God will prune us in order to make us to be more fruitful which is a very painful process but only for a certain period of time (John 15:2; James 5:11 ). After a little time of suffering, God will surely establish us to walk effortlessly through His mighty power (2 Thess 2:16-17; 3:3; 1 Peter 5:10). After God establishes us whatever we desire it will be done for us by God (John 15:7). As we show much of the character of our Heavenly Father as His mature sons and daughters on earth, we will truly be seen as the disciples of Jesus and our Heavenly Father will truly be glorified through our lifestyle (John 15:7-8). Praise the Lord! Many still do not understand the purpose for which the law and the prophets [i.e. Old Testament rules] were given. God first promised Abraham that he will bless him and through his seed He will bless the whole world (Gen 12:1-3). Abraham first obeyed the divine call over his life and he believed the promise of God which is nothing but the gospel preached to him before nearly four thousand years ago itself (Gal 3:8). This is the reason Jesus Himself told that Abraham with expectation for nearly two thousand years waited till the day in which Jesus would arrive on earth to redeem him. When Jesus got incarnated as a human baby and then grew up to be the Messiah, Abraham was so glad to see it fulfilled (John 8:56). The word ‘gospel’ in Greek is ‘euaggelion [pronounced ‘yü-än-ge'-lē-on’]’ which simply means ‘good tidings or good news, the glad tidings of salvation through Christ, the proclamation of the grace of God manifest and pledged in Christ, the narrative of the sayings, deeds, and death of Jesus Christ came to be called the gospel or glad tidings’. Here the context in which the word gospel is used in Galatians 3:8 means ‘to announce or promise glad tidings beforehand’. When Abraham believed the gospel of grace beforehand, God began to release the New Testament blessings in his life even before the Old Testament ever came in to existence. From this we can clearly understand that the New Testament way of faith is the way through which God planned to have relationship with every human being. So only Apostle Paul wrote, “…those who are of faith are blessed with believing Abraham.” (Gal 3:9). In other words Paul was saying if we believe God like Abraham believed in the promises of God, we will surely be blessed spiritually, mentally, physically, financially and socially with Him. Note Paul was not saying that we will be blessed like Abraham, but with Abraham. If Paul had said ‘blessed like him’, we need to achieve in our walk in the same way Abraham walked in His life. But because He said that we are ‘blessed with him’, we are privileged as Abraham’s spiritual sons to use the same channel of faith that he used and as a result become the inheritor of his blessing that was promised to him. This is the reason Apostle Paul clearly said, “Therefore know that only those who are of faith are sons of Abraham.” (Gal 3:7). If reaching out to God by faith was God’s original intention for the whole human kind, then “What purpose then does the law serve? It was added because of transgressions, till the Seed [i.e. Jesus Christ] should come to whom the promise was made; and it was appointed through angels by the hand of a mediator.” (Gal 3:19). The laws were supplied to Moses from God through the angels. Moses acted as a mediator for the law of God to be established before God on behalf of the people of Israel when he sprinkled the blood and made the Old Covenant active by purification (John 1:17; Heb 9:16-22). Moses sprinkled the blood of sacrifice initially over the book of the law to symbolically indicate that those people who keep the law sincerely with all their heart without even breaking one commandment all through their life will be purified by the law covenant of God (Rom 2:12-13; 3:19). The law works wrath upon the one who keep it because no one can keep the law without breaking the law even once (Rom 4:15). So only Jesus said to the people who trusted in the Law of Moses to declare them as righteous because of keeping it self-righteously, “Do not think that I shall accuse you to the Father; there is one who accuses you—Moses, in whom you trust.” In other words Jesus was telling to these self-righteous people that Moses the mediator of the Old Testament will accuse them of breaking the law which he constituted by sprinkling the blood, because the law was given to make people realize that they are sinners who cannot keep the law perfectly before God (Rom 3:20). Next reason the law was given to Israelites was to keep them from breaking the commandments of God freely because of lack of knowledge of God’s holiness after they came out of Egypt (Rom 7:7). In the days of Noah this is what happened when men hardened their heart to do whatever they wanted freely without remorse and it grieved the heart of God. Such lawlessness of man, made God to judge the whole earth (Gen 6:5-7). In the pre-flood era there was no law of God given to man. Because God had already ordained before the foundation of the world for Jesus Christ to come and live on this earth for cleansing our sins and return back to heaven (1 Peter 1:20; Heb 4:3), the law came as a makeshift promise of God to the Israelites more than 400 years after God’s promise to Abraham, till Jesus would come at the right moment of the year of our Lord which is 01 Anno Domini and fulfill all the law by Himself. So only when Jesus started to preach about the kingdom of God already coming to the earth he said, “The law and the prophets were until John. Since that time the kingdom of God has been preached, and everyone is pressing into it.” (Luke 16:16). In other words Jesus was saying that the law and the prophets era was over and gone with John the Baptist itself, now a new kingdom era with Jesus as its king is established, the people are running in to it to receive its citizenship in order to receive its benefits which was the same benefit given to Abraham in the Old Testament. The next reason God gave the law to the Israelites was to make them understand that the law cannot be kept by them perfectly because of indwelling sin nature (Rom 7:16-23; Ps 51:5), but only the Messiah as the sinless lamb of God would be able to keep it perfectly (John 1:29, 36; 8:46). Jesus Himself confirmed this fact when He said, “17 “Do not think that I came to destroy the Law or the Prophets. I did not come to destroy but to fulfill. 18 For assuredly, I say to you, till heaven and earth pass away, one jot or one tittle will by no means pass from the law till all is fulfilled.” (Matt 5:17-18). During the time of His ministry in Israel Jesus tried His best to make the Jews understand this fact. But because of self-righteousness they rejected the true righteousness of God which God offered through the sacrifice of Jesus as the lamb of God (Matt 5:20). The scribes and Pharisees trusted in their own false self-righteousness which comes through keeping the law of God, they did not admit humbly to God that they were sinners (Luke 18:9-14). Because their sense of rightness with God came based on their belief that they were keeping the law of God without fail, they were not able to realize their need for the Savior Jesus Christ. To them Christ has died in vain because they did not see the need for a savior (Gal 2:21). The Pharisees were wrongfully thinking that by poring over the scriptures, understanding it more accurately and keeping it perfectly will save them from the wrath of God and keep them blessed by God; it is a religious spirit that has deceived them to think this way. The religious spirits has blinded these scribes and Pharisees from seeing the truth that “…by the deeds of the law no flesh will be justified in His sight” (Rom 3:20). This is the reason Jesus told the Jewish religious people, “39 You search the Scriptures, for in them you think you have eternal life; and these are they which testify of Me. 40 But you are not willing to come to Me that you may have life.” (John 5:39-40). (5) After we have come to Christ we no longer need the law which only makes us realize that we are desperate sinners (Gal 3:25). Because the first promise of God to the Israelites through Moses was with fault, God established the second promise through Jesus Christ which is faultless and better than the Old Testament promise (Heb 8:7, 6). The law was faulty because it only made people realize that they had sinful nature inside them which prevents them from keeping the law perfectly, but the law did not give power to overcome sin and save them from it (Rom 8:3-4). By coming up with a new plan of new covenant between God and his people, God put the old plan on the shelf. And there it stays, gathering dust (Heb 8:13). The Old Testament is not in use any more, having been replaced by the New Testament which promises something newer, better and more effective way of reaching God. The Old Testament is now used only as an examples and instructions for us to derive principles to live better through its promises which are all to us ‘amen in Christ Jesus’ (1 Cor 10:6, 11; Rom 15:4; 2 Cor 1:20). In other words, by taking all the Old Testament curses upon himself which comes upon those who do not keep the law perfectly, Jesus Christ has qualified us to receive only the blessing promises of the Old Testament (Gal 3:13-14). We claim by faith in order to receive its blessing because it really got fulfilled in Christ on our behalf (1 Cor 10:6, 11). As the Old Testament Scriptures are also God-breathed, it still has the power to impart patience and comfort of God in to us, so that we may increase in our hope (Rom 15:4; 2 Tim 3:16-17; 2 Peter 1:20-21). Hope brings the presence of God in to our lives (Heb 6:19). After our faith in Christ Jesus we are not under law but under Christ who loves us in spite of our sinfulness and saves us ultimately and eternally. While we were ungodly without faith in Jesus Christ, Christ died for us and has forgiven all our past, present and future sins and have made us godly and the righteousness of God forever (Rom 5:6-8; 2 Cor 5:21). We have been declared forgiven, cleansed and perfected forever by God through the blood of Jesus and will be saved from all the judgmental wrath of God through the life of Jesus in the present and future time of our life on earth and in heaven (Rom 5:9-10; Heb 1:3; 10:17, 14). The more we grow in our faith in the fulfilled work of Jesus Christ on our behalf, the more the righteousness of God will be revealed to us and through us to others (Rom 1:17). Revelation of God’s righteousness will increase in us by our life of faith lived out on earth. Faith life is the only thing that we can do to please God (Heb 11:6). Because of our faith in Christ Jesus all of us have become the sons of God (Gal 3:26). No son is ever born in a family because of his own striving or the work he does for the family, it not the son who decides to be born in a family instead it is the fathers decision. The same holds true in our spiritual life too, it is our Heavenly Father who has preplanned us to be born in his heavenly family through Jesus Christ (John 1:12-13). It is a privilege to be part of God’s family eternally; we do not have to do anything to continue and be a part of it. The reason God gave the law was to make us understand that we are sinful enough to need a liberator to liberate us from our sinfulness. We are not sinners because we sin. We sin because we are sinners. Sinning is as natural as breathing to us. Even though we abstain to sin outwardly by striving with our own strength for a certain period of time, eventually we end up sinning more and more to gratify ourselves. Even when we abstain from the fulfillment of sinful actions, we end up thinking and dwelling on it. To God even dwelling on a sinful thought for a moment of time is equal to fulfilling it in the natural (Matt 5:28), because most evil that have occurred in the world have all started with a single sinful thought. The law was not given for us to strive and conform to each word written in it. But as seen in details above, the law was given to make us realize our need for our savior Jesus Christ in our daily life in order to obtain mercy and find grace in time of our need (Heb 4:16). As the Bible says, “The law came to make sin worse [when we sin]. But when sin grew worse [after we have sinned], God's grace increased [to give us comfort by reminding us that all our past, present and future sins were forgiven in Christ Jesus forever].” (Rom 5:20, NCV). Our time of need is when we sin and as a result of it get accused and condemned by Satan in our soul, this is when sin grows worse and God’s grace super abounds (Rev 12:10; 1 John 3:20; Rom 8:1, 34). When we are tempted and fall in to sin, renewing our mind with the finished work of Jesus Christ and confessing our faith in His blood through our confessional faith-command is the way of escape that justifies us from the accusation of Satan and his demons in our soul (1 Cor 10:13; Rev 12:11). The blood of Jesus will cleanse our conscience from all guilt and keep it pure (Heb 9:14; 1 Tim 3:9). In other words, our soulish mind needs to be renewed so that our spirit mind which is usually called as our conscience can be cleansed when we sin. Once when we come to Christ the law becomes useless and outdated because we start to live in the higher standard of the law of Christ through His Spirit (Gal 6:2; Rom 8:2). The bottom line is, “4 For Christ has already accomplished the purpose for which the law was given. As a result, all who believe in him … [have been] made right with God [already].” (Rom 10:4, NLT). Thus having understood the various reasons for which God gave the law and its relationship to sin, will empower us to walk effortlessly in our spiritual walk. Praise the Lord! When we are born again in to the kingdom of God, we are clothed with garments of salvation and are covered by a new robe of righteousness and a ring of authority is given to us as God’s sons over all realms (Isaiah 61:10; John 3:3, 5; Luke 15:22). Our spirit which was dead and separated before we were born spiritually will get born in God as His sons once we receive Jesus Christ as our Lord and Savior (John 3:6; 1:12; Gal 3:26). When we are born again, the wind of the Holy Spirit will blow over us and we will start to hear the voice of God just like Adam initially heard God before the fall of humankind (John 3:8; Gen 2:15-16; 3:8). The mind which is in our spirit-man within us is called as 'conscience' in the Scripture (Rom 9:1). This mind of our spirit man will be clothed with salvation which is deliverance from self-accusation and covered with robe of righteousness which is the blood of Jesus cleansing our conscience each time we sin after we are born again (Rom 2:15; Heb 9:14). Salvation gives us confidence in the ability of God while righteousness gives us boldness, peace and assurance against overcoming the destructive elements of devil and his minions (1 Cor 12:3; Isaiah 32:17). By one sacrifice of Jesus, we were forever changed from being sin-conscious to righteousness conscious people. In the New Testament the worshippers of Christ who have received Christ-consciousness when they were born again, once purified, would have had no more consciousness of sins (Heb 10:2). This is the way God sees us once we receive Christ. But in the natural why a born-again believer even after inviting Christ-consciousness in to His life is sin-conscious many times? The simple answer is Satan and his demonic cohorts are infusing thoughts of self-accusation in to the soulish heart of the believers constantly which starts to affect the flow of God’s voice in to the soul of man (1 John 3:20, 21). So only each time we use the blood of Jesus by our faith, the robe of righteousness is washed clean and the authority of boldness, peace and assurance gets returned. This is a process which we should continue to make sure that our spirit man’s mind which is the conscience to be kept right, good and pure toward God all the time by the blood of Jesus (2 Cor 1:12; 1 Tim 1:19). Once we invoke the Blood of Christ over us, the Holy Spirit will always speak in to our conscience by witnessing about our righteousness of God which has been fulfilled in Christ Jesus (Matt 3:15; 1 Cor 5:21; Rom 9:1; John 16:8, 10). The truth of righteousness that has been imputed in to our account when we were born again and the judgment of God that happened on the Cross which declares that Satan and his demons were eternally defeated and has no authority at all to control or influence us through sin-consciousness will be revealed more and more and we will be guided in to the experiential truth of knowing Jesus as a person by the Holy Spirit who is dwelling inside our spirit man inside us (Rom 4:5-6; Col 2:14-16; John 16:13-14). When our robe gets spotted because of the impurities that we have allowed in our life, we need to use the launderers’ soap of the work of Christ’s baptism which fulfilled all our righteousness and the blood of His Cross which paid all of God’s righteous requirements of God on behalf of us to be renewed in our mind to transform us (Malachi 3:2; Col 1:20-22; Rom 12:2). Baptism of Jesus is a form of doctrine that must be believed in order to see victory over our fleshly nature which always desires to sin (Heb 6:2; Rom 6:2-3). Through the doctrine of baptism we see ourselves in the present time as “though we were slaves of sin” (Rom 6:17). Apostle Paul commended the Roman believers who were believing and obeying from their heart the form of doctrine in Christ’s baptism which says that we have been set free forever from sin and have become slaves of righteousness because Christ fully took our sins at His baptism and paid the price of God’s requirement to redeem us on the Cross (Rom 6:17-19). In identifying with Christ in His baptism we see ourselves as righteousness of God in Christ Jesus (2 Cor 5:21). The physical baptism that we take is our public confession of our identification with Jesus in His baptism which washed all our sins and exchanged His perfect righteousness to our account (Matt 28:19; Acts 2:38; 10:47-48; 19:5-6; Gal 3:27). This is the reason the writer of the book of Hebrews said in Heb 10:22, “19 Therefore, brethren, having boldness to enter the Holiest by the blood of Jesus [which was God’s righteous requirement for our freedom from sin and friendship with God], 20 by a new and living way which He consecrated for us, through the veil, that is, His flesh, 21 and having a High Priest over the house of God, 22 let us draw near with a true heart in full assurance of faith, having our hearts sprinkled from an evil conscience [by the blood of Jesus] and our bodies washed with pure water [by believing the water of the word which started in John’s baptism of Jesus (Eph 5:26; Acts 10:37; Matt 3:15)]. 23 Let us hold fast the confession of our hope without wavering, for He who promised is faithful.” Our physical body and soul will experience the righteousness of God only when we are washed with the water of the word by our identification of our self with Jesus in His baptism in which all our sins were washed away. In other words, this verse says that if we can confess the same thing over us that God has declared over Jesus when He was baptized without wavering by the unbelief of the Satan, we will become bold in God through a new and living way of the ministry of Jesus Christ who is our High Priest. Never forget we are accepted in the beloved (Eph 1:6). In other words you are the beloved of God in whom God the Father is very pleased because of what Jesus has done for you. The bottom-line is we need to renew our mind with the baptism of Jesus and the blood of His Cross to walk effortlessly and use His robe of righteousness to keep ourselves spotlessly with His full authority which is our birthright that has already been supplied to us. The sins that cause friction in our effortless spiritual walk need to be lubricated constantly by renewing our mind with the message of Jesus baptism and the work of the Cross. Amen! Praise the Lord! Man had no work to do in creation because on the sixth day he was created which was the last day of God’s creation. On the seventh day God rested from all His work which means He enjoyed having fellowship with His creation (Gen 1:31-2:1-3). The first day of Adam started with Sabbath rest. In our Christian life too we start it by resting and believing in the finished work of the Jesus Christ (Heb 4:2-3). Like a baby after it learns to sit will next naturally try to walk, we too in our spiritual life after we learn to SIT in our Christian life we naturally begin to walk. The mother and father of a child will always watch and help their little toddler to slowly walk. It may fall a number of times but the parents will take responsibility to make the child walk. 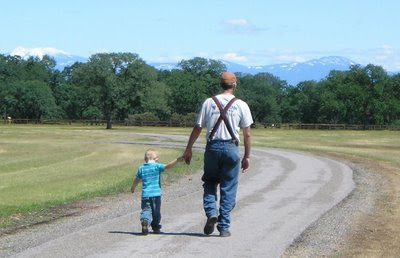 A father and mother in the natural may stand a little distance away and may extend their arms toward their child in order to encourage the child to walk. In the same way after we are saved by believing in the finished work of Christ, the Lord will first make us strengthened enough to sit comfortably first. Once we sit comfortably in the belief that we are saved not by our behavior but by our belief in the finished work of Christ Jesus, from that time onwards our Father God will extend His long arms and will start to encourage us to walk (Deut 1:31). Though we may fall down completely by our sins, yet the Lord will constantly watch over us and will endlessly encourage us to walk. Whenever we fall no matter how many times, He is faithful enough to lift us again and make us walk again (Prov 24:16; Ps 37:23-24; 40:1-2). Like a father in the natural delights when a child starts to walk, so the Lord delights to see His children walk in His way. Learning to walk takes time in our Christian life because it is not an event to achieve but a process to learn. The more a baby walks, the more the soft baby muscles will get strengthened. So also in the spiritual walk the more we learn to walk, the more our spiritual muscles will get strengthened and we will begin to walk effortlessly. God’s original purpose for man was not to roam in the Garden of Eden and waste his time idly. The very reason God put Adam in the garden was to “tend [i.e. cultivate] and keep it” (Gen 2:15). In other words, Adam was designed to work effortlessly by having fellowship constantly with the Lord (Gen 3:8). This activity and work which Adam was purposed to do in the Garden of Eden is what we call in our spiritual realm as ‘WALK’. When we have fellowship closely with the Lord everyday and then depend on Him to strengthen us in our work, naturally we will glorify Him with the result that comes out of such work. The Lord will be only pleased with such work of faith (James 2:20-22, 14). So only it is not what we do that pleases God, rather it is how we do [i.e. with or without faith (Heb 11:4)] and through whom we do [i.e. with whose strength we do (Phil 4:13)]. The divine order for a Christian to live is to first sit and believe in God’s promises, and then work as a sign of expressing his gratitude for what the Lord has done for Him in strengthening Him to walk effortlessly. In this aspect faith and work is intertwined to work together. Without the one the other cannot work. A dead man cannot walk, so is a man without faith in the spiritual realm (James 2:26). A true Christian walk is the outworking of faith that is already in the heart. We can only give to others what we have. So also in our spiritual life, all the God-things that we receive by faith are the only things that we will be able to give out to others. For example Jesus has clearly commanded in His word to love another (John 13:34; 15:12). But He does not stop at this place and leave us to strive in order to keep the commandment by our own strength. Jesus said, “… love one another; as I have loved you” (John 13:34). In other words Jesus is telling us, if you have truly experienced My love in your life, then give it out the way you have experienced it. This is the true Christian walk of faith. Thus we can give out God’s unconditional true love, only if we have personally experienced it first hand in our lives. This is the same in the area of forgiveness too. We are exhorted by Apostle Paul to "...be kind to one another, tenderhearted, forgiving one another, even as God in Christ forgave you. "(Eph 4:32). In other words Paul is saying, ‘Because God has forgiven all your past, present and future sins when you received Christ as your Lord and Savior, in the same way you also shows to others the same character of God that has been revealed to you and that which is in you.’ (John 17:23-24, 26; 14:23; 1 John 4:4). Jesus expressed God’s strong attitude of chastisement toward His unforgiving children and servants. The outcome of the ‘Parable of the unforgiving servant’ is, God will allow torturing demons to afflict all His unforgiving servants and children until they change their wrong attitude towards others by forgiving their mistakes no matter how many times the same mistakes were made in the past or will be made in the future (Matt 18:32-35, Eph 4:26-27; 2 Cor 2:10-11; John 20:17). Because God has freely given us as much as we need, He also expects us to give out to others freely what we have received so that His resources can be utilized for His glory through us His children on earth as it is in heaven (Matt 10:8; 6:10). Only as we give out the good things of God which is inside us, we will have more space to receive from God the Father who is the source of all good things (Matt 6:14-15; James 1:17). If we do not give out that which we have already received, God will also not give us anything further. The greatest giver in the entire universe is God who gives without measure only to those who are givers (Luke 12:16-21; 6:37-38). To that level we give out, not only we will receive from God the same level of pressed down and shaken together blessings but also overflowing measure in return. Say for example a small tumbler size of God’s blessings we give out to others, we will receive an overflowing small tumbler size in return from God. If we give to others a big cup size, we will receive the same cup size blessing in return but in running over measure. God’s blessing is like rain- water vapor cycle which keeps on changing places and hands. Those who try to hold it will in the end lose what they have selfishly with them. Those who give out freely will never lack anything good because God is the greatest giver of all (Prov 13:7; 28:27; Ps 84:11). His resources never dry up no matter what. There is always a right measure to which a man can withhold according to God’s justice, anything withheld more than that is considered covetous (Prov 11:24; Luke 12:16-21). The Lord never expects us to give out what we do not have. It is our attitude towards others and the things that we possess that either makes God to freely give to us if it is a givers attitude or withhold from us if it is a covetous attitude. If God’s resources are used according to His direction under Him, the resources of earth will be more than enough for us who are its inhabitants forever and ever. Adam started to work with his own strength because he was no more able to connect to God’s strength through communion in his inner man because of the curse that came upon him because of his disobedience to God’s word (Gen 3:17-19; Eph 3:15-16). God told Adam “"...the tree of the knowledge of good and evil you shall not eat, for in the day that you eat of it you shall surely die.” (Gen 2:17). There are three different possibilities of death that can be applicable in this verse, (1) Spiritual death, (2) Physical death and (3) Eternal death. Physical death is a curse that has come upon mankind because of the spirtual death that has happened at the fall of mankind in to sin, which may lead to eternal death if not taken seriously to seek God for remedy while alive (Rom 5:12; Is 55:6). Here the phrase "...you shall surely die" or 'death' means separation from God spiritually. We know that Adam did not die physically the moment he disobeyed the commandant of God. But immediately after the fall the soul of Adam was filled with ‘fear, self-rejection and isolation’ which was the spiritual death that God warned will happen on the day he eats the forbidden fruit from the tree of the knowledge of good and evil (Gen 3:6-10; 2:17). From this we understand that God spoke about the spiritual part of Adam [i.e. spirit man] which will get separated from God the moment Adam will choose to disobey God. Here in this previous verse the word ‘die’ in Hebrew is [‘muwth’ pronounced 'müth' which means 'put to death as a penalty for neglecting wise moral conduct’] a verb which conveys that the immediate action of death will take place as an aftereffect of breaking the commandment of the higher one (Gen 2:16-17). From this time onwards with God’s spiritual connection being cut man began to toil for physical and spiritual survival because of the curse (Gen 3:17-19). But because Jesus has taken all these curse upon Himself on the Cross and died for us by paying the price that God required for the friendship with man to be restored again, now we have a free access to God apart from the curse that made people to toil to survive on earth physically and also to please God spiritually (Gal 3:13-14; Rom 4:24 - 5:2). Abraham was blessed to have free access to God on earth as God’s very own friend, which God Himself confirmed (Gal 3:14; James 2:23; Is 41:8). In extending His arms to Abraham as a friend, God has conveyed that it is His desire to have friendship with every human based on their faith toward Him. The same way Abraham was blessed with all the blessings of God [i.e. spiritually, soulishly, physically, financially and socially], we too along with him will be blessed as we journey day after day with God in our lives. Since the day Adam took the fruit of the tree of the knowledge of good and evil, humanity has been engaged in deciding what is good and what is evil. The natural man without God has independently worked out his own standards of what is right and wrong, justice and injustice, has striven to live by them. Of course as Christians we do not have to live like the world as we have seen earlier because we are different by nature. Christ is for us the Tree of Life. We do not live by deciding what is wrong and what is right. Instead we start from the tree of life. Nothing has done greater damage to the Christian testimony than those who try to claim what is right or wrong based on their own ideas and philosophies. These are the people who get easily offended if someone treats them badly and they always try to justify their actions based on their own standard. But that is not our standard. Jesus taught us, “38 “You have heard that it was said, ‘An eye for an eye and a tooth for a tooth.’ 39 But I tell you not to resist an evil person. But whoever slaps you on your right cheek, turn the other to him also. 40 If anyone wants to sue you and take away your tunic, let him have your cloak also. 41 And whoever compels you to go one mile, go with him two. 42 Give to him who asks you, and from him who wants to borrow from you do not turn away. 43 “You have heard that it was said, ‘You shall love your neighbor and hate your enemy.’ 44 But I say to you, love your enemies, bless those who curse you, do good to those who hate you, and pray for those who spitefully use you and persecute you, 45 that you may be sons of your Father in heaven; for He makes His sun rise on the evil and on the good, and sends rain on the just and on the unjust. 46 For if you love those who love you, what reward have you? Do not even the tax collectors do the same? 47 And if you greet your brethren only, what do you do more than others? Do not even the tax collectors do so? 48 Therefore you shall be perfect, just as your Father in heaven is perfect.” (Matt 5:38-48). If you ask me, ‘Is it right for someone to strike my cheek?’ To that I say ‘Of course not!’ But the real question is, ‘Do you only want to be right or live in the higher heavenly realm of our Father in heaven?’ Do you want to just show your selfish right to defend or God’s selfless love to transform others? Do you just want to be a natural man or a supernatural obedient child of God (James 1:23)? With God it is a question of His grace shone forth, not a question of right or wrong. Praise God! God makes His sun shine on the evil and the good, and also showers His rain abundantly on the evil and the good. Our lives as a Christian should be governed by the principle of the Cross and of the perfection of the Father as Jesus said, “…be perfect, just as your Father in heaven is perfect.” ‘Right or wrong’ is the principle of the worldly people. This pattern of thinking is not under the jurisdiction of the kingdom of God but rather under the influence of this world system of governance which is under the sway of Satan and his demonic minions (2 Cor 4:4). If we do not allow God to work through us and resist our selfish agendas, we are just wasting our God given one life on earth which is the stadia of opportunity to either position ourselves with a great reward in heaven or lose everything and regret later. If we choose to show God’s ability and His supernatural character through us, God will be pleased with our faith and it will truly glorify God who has freely loved us (1 Cor 6:20). As a Christian our standard of living life is not based on what is right or wrong but rather it is the Cross. The Cross is a symbol of suffering that was literally used to crucify and thus punish an offender of the law during the time when the Romans ruled the whole world. Jesus said, ""If anyone desires to come after Me, let him deny himself, and take up his cross, and follow Me." (Matt 16:24). In this context it means that we give up our self right of defending for ourselves based on whether something is right or wrong and then unconditionally give ourselves in to the hands of God to do His will for our lives. In our times taking up our cross conveys the idea of accepting an unpleasant or painful situation or the doings of an evil person that is done against us and then deal them with the unconditional love of God. Although we find it absolutely impossible to deal with our own limited strength of character or goodness in our soul, God's strength of His character in us will come out of our spirit because the spirit-man is born again with the life of God inside us (Eph 3:15-16). Our spirit-man is the place where the tree of life which is Christ's life in us dwells (Eph 3:17). As we depend on God by faith to help us not to be reactive by our own limited strength, but rather strongly desire to see the character of our heavenly Father to come out of us as His child, suddenly from our spirit the character of Christ will surge through in to our soul strongly and thus will transform the situation that we deal in the physical realm with the heavenly result. So my fellow brethren do not stand on your right, but allow the Lord to defend you through His love surging through you. If you will ever try to defend your right ways before others, you will be overcome by evil subtly. So as Apostle Paul said, "...overcome evil with good" (Rom 12:21). This makes us ask the question, do we have anything good inside us? The Bible also says, "...No one is good but One, that is, God." (Mark 10:18). What does it mean? It means you can only overcome evil with God who is the only good inside you. In other words, you can choose to experience victory over evil by the power of the victor who resides within you. Thus you are exhorted by Apostle Paul personally to, "1-2Watch what God does, and then you do it, like children who learn proper behavior from their parents. Mostly what God does is love you. Keep company with him and learn a life of love. Observe how Christ loved us. His love was not cautious but extravagant. He didn't love in order to get something from us but to give everything of himself to us. Love like that." (Eph 5:1-2, The Message). Praise the Lord! Believing the voice of the Lord spoken to us personally through His word is faith (Rom 10:17). Allowing the promises of God to take root in us by patience will cause us to receive and experience the goodness of God’s grace (Heb 4:3; 6:12), after which we become the dispenser of God’s goodness by acting as a channel of blessing to others (2 Cor 1:3, 4). A person who says I have done great things for God and have sacrificed much for him, has not really done all his work completely through God’s grace ( 1 Cor 13:3). Since people who make such confession of doing much for God have done it in their own strength, it will not profit them personally, eternally and also presently to receive God’s physical blessing. They will not have any satisfaction in their personal lives for the work they have done because it is done without God who is love. God sees every man’s motivation in doing His work. If the motivation for doing any work for God is not based on unconditional love of God and love for God, then according to God it is “dead works” (Heb 6:1). The dead works can be any spiritual activity that we do such as prayer, Bible reading, helping the poor, living holy lives, sharing the gospel, etc… without the love of God as its motivation. We should do all these spiritual activities as gratitude towards God for all the things that He has done for us in Christ Jesus already. All such dead works that we have discussed previously are compared by Apostle Paul to cheap easily burnable material like “…wood, hay and straw”. The things that will be done by God’s unconditional love as its motivation is compared to hardened costly unburnable material such as “…gold, silver and precious stones” and will all be tested by God’s perfect judgmental fire in the future 'Judgment of believer's for receiving reward' in which God will reveal the true motives of each believer’s work done for God on earth (1 Cor 3:11-15). Works done in expression of God’s unconditional love will receive reward. Works done by the believer’s own enthusiasm and their own strength will completely be trashed out without any reward. But because all the believers are placed over the unfailing foundation of Christ’s faithful love and His promises, they personally will be saved from eternal separation from God which is hell fire. The Hebrew word in the Old Testament used for the English word 'repent' is 'Nacham and Shuwb'. According to Strong’s Concordance, the English word repent appears 21 times in the Old Testament. These come from two different Hebrew words. The one used most often is 'Nacham', which means 'to regret'. The other is 'Shuwb' which means 'to turn or return'. The word in the New Testament usually translated “repent” is the Greek word “metanoeo,” and the word translated “repentance” is “metanoia.” Both of these Greek words have the same basic meaning: “to change your mind; reconsider; or, to think differently.” The word ‘confess’ in the New Testament comes from the Greek word 'homologeō' [pronounced as 'ho-mo-lo-ge'-ō'] means to 'say the same thing as another, not deny something that has been done, declare, admit or declare one's self guilty of what one is accused of, profess, declare openly, speak out freely, profess one's self the worshipper of one, praise, celebrate'. Confession is only for a believer who trusts that God has already forgiven all his past, present and future sins through the one prefect sacrifice of Jesus Christ (Heb 10:14, 12 ). Confession is agreeing with God that we have sinned when we do sin and then celebrate and praise God for His forgiveness through Jesus Christ that has already been declared once for all (Heb 10:12; 1 John 2:1-2). Jesus introduced to us the Holy Spirit who is the "counselor". A counselor is someone who sees and listens to a person's problem and gives advice and strength to overcome it. Every time you sin you’re over riding the Holy Spirit’s counsel. And when you feel guilty afterward you’re experiencing His conviction for having done so. Confession is the antidote He gave us for that guilt. Once we agree with God that we have sinned, the blood of Jesus will automatically cleanse us from our guilt that comes as a result of our sin. Because God is faithful and just to forgive us according to His promised Covenant that He has made with Jesus, we will feel no more guilty. The Holy Spirit is the one who applies the blood of Jesus as a personal spiritual helper from God. We can’t confess our sins to get saved. We need to repent to get saved. Repentance is changing our mind by unseating our self from the throne of our mind and seating Christ as our Lord and Savior by confessing Him through our mouth, then believe in our heart that God has raised Jesus from the dead supernaturally so that we too are raised along with Him to access God’s power freely by grace through faith (Rom 10:9; 5:2). We can only confess to get cleansed from our sins if we are already saved. Repenting does not mean to stop doing something. If we need to stop sinning before we need to ask Jesus to come in to our heart, then nobody of us will ever qualify to get saved through repentance. In the context of salvation it means to change our mind about the need for a Savior and realize that without Jesus we’re hopelessly lost (John 3:36; 1 John 2:2). When John the Baptist told people to repent and be saved, he wasn’t telling them to stop sinning so they could merit salvation. He was telling them to change their minds about the need for a Savior (Matt 3:6-12). We receive salvation when we first accept ourselves as sinner who needs Jesus as a savior to save us from all our sins and then a change in behavior is wrought by the Holy Spirit who is the real transforming agent of Jesus. This is the reason Apostle Paul said in the Book of Romans 2:4, “…the goodness of God leads you to repentance.” In other words Paul is saying, knowing the unconditional forgiveness of our past, present and future sins by God through Jesus Christ and His unconditional love toward us in spite of our indwelling sin nature that always sins will only lead us to change our mind toward our bad behavior and renounce it bit by bit through God’s grace. Since our salvation is based solely on our belief that Jesus died for our sins, it is the only repentance that’s required for salvation. As soon as we ask Him, He agrees to save us and to keep us saved forever. From the moment Jesus becomes our savior He becomes our Lord too (1 Cor 12:3). After we’re saved, the Holy Spirit prompts us to change our mind about our behavior. If we already know that we are a sinner in need of a savior, we don’t need to repent to be saved. We just need to ask Jesus to save us. If we already know our behavior is a sin, we don’t have to repent, we just need to confess our sins to God and He is faithful and just to forgive us and cleanse us from all our unrighteousness (1 John 1:9). 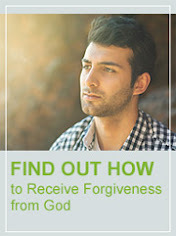 If we keep asking God to forgive us by repenting each time we sin, we should understand that we have not even learnt the elementary principles of Christ which is “repentance from dead works” by “our faith towards God” through believing what He has already done for us by forgiving all our past, present and future sins in Christ Jesus (Heb 6:1). Dead works are nothing but our strivings to please God and trying to keep ourselves saved by our own strength and behavior. Dead works also includes asking God to forgive us when we are already forgiven and accepted by God in Christ Jesus. When we sin we do not ask God to forgive us, but we just tell God that we have sinned and praise God for His forgiveness. We should confess to God something like this statement by saying, 'Lord I have sinned and thank you for forgiving my sin by being faithful and just. I thank you Lord for the Blood of Jesus that has cleansed me from all my unrighteousness.' (1 John 1:9, 7). This is an example of a faith-filled prayer for confession of sins. If we keep asking God to forgive us when He has already forgiven all our past, present and future sins in Christ Jesus (Eph 4:32; Col 3:13), we are blindly saying to God indirectly that He is unjust and unfaithful. Such behaviors are developed by lack of faith in the finished work of Jesus Christ. Passages that admonish us to change our behavior are always written to people who’ve already been saved and refer to maintaining our fellowship with God (1 John 2:1; 1:3, 7, 9). Repentance is like first owning a bus as a gift that will take you to heaven which is its final destination. Confessions to God are like correcting a punctured tube and thus continue to travel in the salvation bus. It helps to remember that all believers continue to sin and to varying degrees refuse to give up their worldly lives. It’s our belief that Jesus died for our sins and rose again that gets us saved and keeps us that way. Someone who doesn’t think he’s sinning doesn’t ask for forgiveness, so asking for forgiveness is a sign that he’s changed his opinion about his behavior (1 John 1:6-8). That’s true repentance. At that point, the Holy Spirit can convict him and begin leading him toward the change in behavior God desires. But even the best of us still does things that we know are sin but can’t seem to stop doing. That’s why John said that the person who thinks he doesn’t sin is a liar and cautioned us to ask for forgiveness every time we sin (1 John 1:8-10). We must remind ourselves that we do not do the right things of God all the time even though we try our best to. We fail many times, and it is always good to learn from our failures and confess it to God to receive His grace in time of our need. But the good news is we are getting better and better by being transformed from glory to glory all the time (2 Cor 3:18). Before we were full time sinners who accidentally did something right once in a while as babies in Christ, but as we mature in our Christian walk we tend to take good decisions consistently and will desire to walk as victorious over comer’s all the time. To simply and shortly describe our Christian walk, ‘We are not where we ought to be, but thank God we are not where we were used to be’. The secret to walk consistently in the power of Christ is based on a Christian’s rest ‘in Christ’. Certain people only rest a little while and rush out to try to walk in Christ. What will happen is they will soon be tripped to walk in self rather than in Christ. Why? They might not have spent at least an hour a day ‘in Christ’ consciously by lingering in the presence of Christ or they might not have meditated on the word of God enough to sustain them for the need that might arise on that particular day (Matt 26:40-41; Ps 119:104, 23, 11). Say a car travels fifteen kilometers a litre. If the owner of that car loads two litres of petrol in his tank and tries to travel a hundred kilometers with it, what will happen? He will most probably be stranded mid-way to his destination on that particular day until he consciously fills the tank with at least another five litres of petrol to travel the remaining distance. The same thing happens in our spiritual life too. We need the spiritual tank of our-spirit man to be filled to the full by the Spirit always. All who sit can walk, for in the thought of God the one follows the other spontaneously. We sit forever with Christ in the heavenly material of spirit-man inside our innermost being and then with that Christ-consciousness in our soul we walk before men. Christ consciousness will bring the life of Christ to be manifested in every little details of our life. Once we forsake and give up our Christ-consciousness for self-consciousness in us, suddenly we will go from rest to restlessness because of this transition in our mind. When we become self-conscious, we will become influenced by world-consciousness which is an impure stream of thoughts which will give no real strength to overcome all our problems in our lives journey (Gen 3:8-10). Christ-consciousness is the purest way to drink from the spiritual stream of living water, which are the creative, comforting, guiding and protecting thoughts of God which will fill our mind (John 4:14). All who can sit in Christ-consciousness can walk in Christ’s strength; according to God the one follows the other. Forsake the rest of sitting in Christ, immediately we are tripped and our testimony in the world is spoiled. Once we start to abide in Christ-consciousness all the time, our position there in our mind releases the power to walk worthy of Him here in the world. For example a pilot who gets in to flight only needs himself to position rightly in the pilot seat. Then to move himself to the destination, he only needs to push a button and check whether everything is working rightly. He does not carry himself to the destination, but the plane carries him. He does not need to help the plane to take off in to the air a little bit and then somehow get in to the plane by his own effort. It is practically impossible. Either he is carried by the plane or else he is out of it. This is the same that happens in Christian lives too. We just get in to the spiritual plane of God when we are born again. Like a plane is powered to fly based on the fuel that it holds, we too are empowered to walk the spiritual life journey by the power of Christ within us that we hold. We get seated in the spiritual pilot seat and embark on a journey called eternal life. God is that big plane who carries us by his power (Isaiah 46:4). We just receive the feedback from God’s gauges which will show where we are in our journey of eternal life, we trust those meter’s and start to fly by consciously positioning ourselves rightly according to the feedback from the spiritual meters. Just like an airplane meters shows the altitude of the plane, its fuel limit and its speed, the spiritual meters of God will indicate the spiritual altitude, fuel and our speed which are the Holy Spirit’s guidance of righteousness, joy and peace in this life. We walk not the spiritual life with our strength, but by the strength of God acting through us we walk. We cannot support God in our walk. Either we walk by His power in Christ or we are out in our own self. The pilot can reach His destination as long as he is seated in his plane which he is driving. In the same way we can walk spiritually as long as we are seated in Christ by being Christ-conscious. Once the pilot unseats himself and jumps out of the plane, he is no more carried by the plane. In the same way once we unseat our self from Christ-consciousness to self-consciousness, we are out of the spiritual strength of God which carries us. Thus our conduct and behavior depends on how much we fundamentally rest inwardly by sitting in Christ. Many times in the time of our need we tend to think that Christ as a Person apart from us who will come to help us whenever we need Him, as a result of it we fail to identify Christ within us as a part of us who cannot fail. We should see Christ Himself as the answer in us to all of God’s demands (Rom 8:3-4). Apart from Christ we do not have any holiness, but because Christ lives inside us though His “Spirit of holiness”, He Himself has become our holiness in our new-man inside us (Ps 16:2; Rom 1:4; Col 1:26-27). Once we become Christ-conscious, we put on the new man which has been born inside us (Eph 4:24). In the new-man Christ resides by our faith and becomes everything that we shall ever need (Eph 3:17). Thus faith becomes our extended spiritual arms through which we access in to God’s grace that empowers us to walk effortlessly in Christ (Rom 5:2). This is the reason Apostle Paul said, "...Jesus ... became for us wisdom from God—and righteousness and sanctification and redemption" (1 Cor 1:30). In other words Jesus himself is our strength with which we walk in our spiritual life. Jesus becomes our nourishment for the sustenance of our spiritual life. How does an arm of a wrist watch moves, it does not move itself. It moves, yet not by its own power. It is moved by the power beyond itself. We walk, yet not by our strength. We work in our spiritual life, yet not us but the grace of God within us. In short we are moved by the power of God within us to walk in this life. Apostle Paul described about this phenomenal thing that happened in his life by saying, "...I labored more abundantly than they all [i.e. 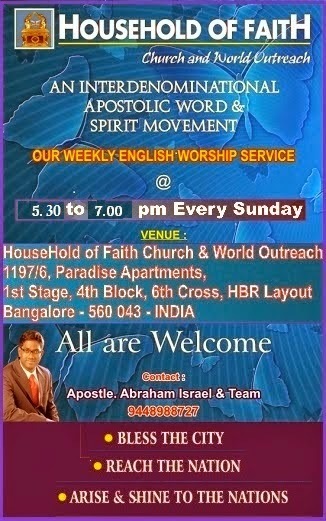 apostles], yet not I, but the grace of God which was with me." (1 Cor 15:10). The same thing Paul said in Col 1:29 which says, “… I also labor, striving according to His working which works in me mightily.” The secret of such extraordinary spiritual life that Apostle Paul lived has been clearly revealed in the following words “grace of God which was with me” and “according to His working which works in me”. This explains Paul’s real secret to live a powerful spiritual life. He has first learned to sit. Then He has come to the place of rest in God. As a result his walking is not based on his efforts but on God’s mighty inward working. Many times in our Christian life we struggle with various form of lustful behavior which is ingrained within our old man. The old man with its various forms of lust will be put off only when we turn our mind from focusing on ourselves and our weaknesses to Christ’s strength and his character intertwined within us (Eph 4:20-24). Once we do focus ourselves on the work of Christ which is also described as being “renewed in the spirit of [our] mind”, Jesus Himself walks though us and teaches us to walk in the truth which is in Him. If we do the things that we wish we are walking in our own fleshly desires. But if we are walking in the godly desires of the Holy Spirit who prompts us every time we need direction, we are walking in the Spirit. All of us who are born again “live in the Spirit”, means we know ourselves as sinners and we have accepted Jesus Christ as our Lord and Savior by our confession (Gal 5:25). After we are born again by our belief in the finished work of Christ we have the Spirit of Christ dwelling within us as a guarantee of our salvation (Rom 8:9; 2 Cor 1:22; 5:5). Once we have this guarantee of the Spirit, He starts His divine work of revealing the will of God which we obey sometimes and walk in it, other times we ignore it because of the strong influence of the indwelling fleshly nature. But because we have Christ’s guidance within us through His Spirit we are declared and considered by God as walking in the Spirit, as a result the Spirit of life which resides in us as a guarantee of our salvation has made us free from the law which says when you sin you die without mercy. So now there is no condemnation to those who are in Christ Jesus by their belief but failing to live up to the perfect standard of God prompted by the Holy Spirit because of their own bad choices (Rom 8:9, 1-2). The more we learn to walk in the promptings of the Spirit, the more we will overcome the lust of the flesh (Gal 5:16). The liberty of the Spirit overcomes and breaks the cyclic bondages of the lust of the flesh. To stand in the freedom and liberty of the Spirit which we already have in Christ Jesus (2 Cor 3:17; Gal 5:1, 13; James 1:25; 2:12; 1 Pet 2:16), the Apostle Paul is exhorting the believers to consistently walk in the promptings of the Spirit not just for a limited period of time. By experiencing more and more liberty of the Spirit in our lives we walk effortlessly the ‘in Christ’ life which God has prearranged (Gal 5:25). The promptings of the Spirit comes through various ways in our life. First we get prompted by the still small voice of the Spirit in our spirit-man inside us, through the reading and meditating of His word, through hearing God’s voice in prayer, through our circumstances, through dreams and visions, through prophetic word and godly counsel from God’s people. If we are really seeking to fulfill the will of God that comes to us through these various ways of the Holy Spirit as listed above, we are walking consistently in the Spirit. Walking in the Spirit releases the power of God within us. In other words, we do not walk but the Spirit of God starts to live, move and have our being (Acts 17:28). Paul learned to consistently walk in the Spirit, after which he said, “"But by the grace of God I am what I am, and His grace toward me was not in vain; but I labored more abundantly than they all, yet not I, but the grace of God [which was] with me." (1Cr 15:10). Here we see the spiritual dynamics of grace which Apostle Paul used in his life to labor more effectively than all the other apostles of Christ to reach the whole world with the Gospel within the shortest period of time (Rom 15:18-20, 23-24, 28-29). Most Christians know the mechanics but never understand the dynamics of living such effective victorious Christian life. Many Christians use this preceding verse of Paul to justify themselves of their so called humility and many times foolishly express to describe what they have done by their own strength. Once somebody says to them that they have done well in something, they will readily say this religious cliché, 'Oh, it is the grace of God!' They don’t bother to think whether it is done in God’s strength or their own. God’s grace must make everyone who watches us to get astonished by how much we achieve easily by God’s strength. During that time it is good to point our achievement and success towards God and His empowering grace in our lives. The all-important rule is not to ‘try’ but to ‘trust,’ not to depend on our own strength but upon His. Many of us are acting as Christians because we profess Christ but do not show His power working through our lives which is a very poor testimony. Still others are hypocritically walking in pretense not in reality. Many of us have learned to talk spiritually, act spiritually and adopt spiritual attitudes to keep ourselves secure in our very own religious shell which makes us ‘do’ the whole Christianity ourselves. Such religious attitude will only force us to refrain from doing this, saying that, from eating certain things and how hard we find it and end up thinking as though God is indebted to us because of our so called great spiritual achievements. The extreme effort and labor involved to live such lives must at least make one realize that it is not the real spiritual life that Jesus promised to give (Matt 11:28). When we yoke and position ourselves with Christ to live the real spiritual Christ’s life, the burden we carry will be light exactly as Jesus told (Matt 11:30). You know why? Because the more we learn from Christ to live gently [i.e. meekly] and lowly in heart, the more God will start to give His empowering grace freely which will make us effortlessly walk the spiritual life which God has predesigned for us (1 Peter 5:5). Only living such lives will really glorify God. Like a person who speaks his mother tongue naturally, so also the life of Christ naturally flows through a Christian. Even when you wake up a person in the night and ask him a question, the first word that will come out of His mouth will be in his mother tongue. The moment an unexpected thing happens the first reaction will come out in his mother tongue naturally. Christians who pretend to live their life without the grace of God flowing through them are like people who are trying to speak in an alien language and that too try to learn it hard. The Holy Spirit who is the one who acts as the divine executive who supplies the empowering grace does it freely and spontaneously as we walk in the Spirit. The moment we learn this fact we shall end our struggling and will throw away our pretence. Nothing is as worse as acting in Christian life, at the same time nothing is as blessed as when our outward efforts ceases and our attitudes become natural—when our words, our prayers and our very life becomes a spontaneous expression of the life of Christ within. To ‘walk’ is to ‘proceed,’ to ‘follow on,’ and also to progress towards a set goal. What should be the Christians goal? Surely it is not going to heaven because we go to heaven not based on our performance of our Christian life on earth but rather based on our belief that Christ as our substitute has perfectly fulfilled God’s entire requirement for us to enter heaven, and true to our belief “…we shall be saved by His [i.e. Christ’s] life.” (Rom 5:10). In other words we will surely enter heaven because of believing what Jesus has done for us on the Cross personally. We see in God’s word that God has great prosperous and very hopeful plans for us to walk in our future as long as we are present in the earth (Jer 29:11). The Bible also says that, "In Him we also were made [God's] heritage (portion) and we obtained an inheritance; for we had been foreordained (chosen and appointed beforehand) in accordance with His purpose, Who works out everything in agreement with the counsel and design of His [own] will" (Eph 1:11, Amp). This preceding verse says that we were chosen and appointed beforehand for God to work out His pre-appointed counsel and design through us. So a Christian’s goal must be to fulfill all the plans that God has already pre-appointed to fulfill in his life. From the above verse we also come to understand that God Himself works out His plan in His time, all we need to do is to give ourselves as a living sacrifice for God to operate through us (Rom 12:1). King David in the Bible was one such person who gave himself wholly to God in order for Him to fulfill His entire plan for his life (1 Samuel 22:3-5). This is the reason in the book of Acts the Bible says, "For David, after he had served God's will and purpose and counsel in his own generation, fell asleep [in death] and was buried among his forefathers..." (Acts 13:36, Amp). David was one man who fulfilled all of God’s will, purpose and counsel in his own generation. When he died there was nothing more of God’s plan to be fulfilled in his life and he was buried. What a great testimony from God Himself! This should be every Christian’s desire and testimony. Apostle Paul said, "I press toward the goal for the prize of the upward call of God in Christ Jesus. " (Phil 3:14). If we ask the question what is he really saying, is he speaking about his goal of going to heaven? No not at all. First Paul desires to fulfill God’s plan for his life because it carries a great prize or heavenly reward that God was waiting to give Paul for his most exemplary life. He is also saying that he is pressing forward toward the goal of finishing the final phase of all the remaining plans that God has left for Paul to fulfill before he leaves to be in heaven. Paul was in Rome when he wrote the Letter to the Philippians (Phil 4:22). Hence Paul was waiting to fulfill the rest of God’s plan for His life which was to completely preach the gospel in word and deed in Rome fully (Rom 1:7; 15:23-24; Acts 27:24-25). The same Apostle after He fulfilled all the plans of God for His life and generation victoriously cried out, “6 For I am already being poured out as a drink offering, and the time of my departure is at hand. 7 I have fought the good fight, I have finished the race, I have kept the faith. 8 Finally, there is laid up for me the crown of righteousness, which the Lord, the righteous Judge, will give to me on that Day, and not to me only but also to all who have loved His appearing.” (2Tim 4:6-8). This should be the testimony of every Christian. Such victorious cry before the end of our lives is the will of God for every Christian! Surely if we learn from now on to walk effortlessly by letting the Holy Spirit to work out the Christ’s life in us, before the end of our lives we too will cry out the victory shout of all the fulfillment of God’s plan in our lives. Praise the Lord! Because we are living in the ‘end of the end time’, we can see before our very eyes all the signs of the end time are taking place and increasing in its intensity day by day. Jesus told the end time believers to carefully watch these things and not only realize that the time of rapture is near at hand but also pray daily and be connected with Jesus to be filled with the oil of the Holy Spirit fully (Luke 21:36). Only those who are saved will connect to Jesus by praying to Him and watchfully expecting his arrival. Particularly Jesus told that all the distressing end times signs will occur like a birth pang (Mark 13:8; Isa 13:8). In other words it will increase and increase before the rapture takes place and then the Tribulation wrath of God will be released by God upon the earth to destroy its sinners (Is 13:6-9, 13; 1 Thess 1:10; 5:9). In the Book of Ephesians Apostle Paul exhorted the believer’s saying, “15 See then that you walk circumspectly, not as fools but as wise, 16 redeeming the time, because the days are evil. 17 Therefore do not be unwise, but understand what the will of the Lord is. 18 And do not be drunk with wine, in which is dissipation; but be filled with the Spirit” (Eph 5:15-18). Walking watchfully by redeeming the time according to the will of God means simply ‘to be filled with the Spirit all the time’. To eat, drink, marry wives, buy and sell goods, plant gardens and build spectacular buildings are all earthly good, but has no eternal value (Luke 17:27-28). These were the activities the people who perished during Lot’s and Noah’s time were very much involved in. They never thought about eternal things at all. Jesus predicted that the end time generation will live in the same way which will bring the wrath of God upon them. This is the reason the Bible calls the people who will live during the Antichrist’s reign during the Tribulation time as “all who dwell on the earth” (Rev 13:8). In other words they will live as though there is no eternity except the life on earth. As long as we are alive and well on this earth, it is better to remember our Creator and start to lay up our treasures in heaven (Eccl 12:1, 6-7, Matt 6:20). The moment we receive Jesus as our Lord and Savior our eyes gets fixed upon God’s eternal things, we are also exhorted to set our minds on things which are above which we will by and by as we start to give more of ourselves to God (1 Cor 12:3; Heb 12:1-2; Col 3:1-4). More than the first century believers the preceding verses fit’s our end time Church perfectly because Jesus gave ‘the parable of the wise and foolish virgins’ to the end time Church. Jesus compared the wise virgins to the Church of the end time which will have the saved and Spirit filled believer’s as a part of it, Jesus promised that these wise virgins will be the one that will be taken up in the rapture of the end time (Matt 25:9). Scripture after scripture assures us that God who began the work of salvation will finish it to the uttermost (Phil 1:6; Jude 24; 2 Tim 1:12; Eph 3:20). No believer will be half saved, but we must understand that Jesus wants the end-time Church to be watchful because their surrounding society will degenerate in to perversity like in the times of Noah and Lot (Luke 17:25-30). Because of being involved in perverse activities many will willfully forget and deny the coming of the Lord to take away His Church in the end time (2 Peter 3:3-7). The Lord doesn’t want His end time Church to be a part of “the filthy conduct of the wicked” (2 Peter 2:7) and instead he has planned to sanctify and cleanse her with the washing of water by the word to present her to Himself a Glorious Church at the time of rapture (Eph 5:26-27). Those who co-operate with Christ will be found without spot or wrinkle or any such thing, they will be separated from all perverse worldly activities of the end time having holiness without blemish because of work of Jesus Christ done in them and through them. The command of Jesus to the end time Church is, “34 “But take heed to yourselves, lest your hearts be weighed down with carousing, drunkenness, and cares of this life, and that Day [of the rapture] come on you unexpectedly. 35 For it will come as a snare on all those who dwell on the face of the whole earth. 36 Watch therefore, and pray always that you may be counted worthy to escape all these things [i.e. God’s Tribulation wrath upon the sinning world] that will come to pass, and to stand before the Son of Man.” (Luke 21:34-36). Because of heeding the command of Jesus to watch and pray, the end time believers will escape God’s wrath which will come upon the whole earth to destroy its people who will be involved in perverse activities. To 'watch' in Greek is 'agrypneō' [pronounced 'ä-grüp-ne'-ō'] which means 'to be sleepless, keep awake, watch, to be circumspect, attentive, ready’. To be ready for rapture is to pray and be filled with the oil of the Spirit all the time. When a person does not pray, he will naturally have no strength to overcome the perversion happening around him. Then once a person will be involved in the perversion of the end time he will start to sleep spiritually. Thus Jesus is looking for an obedient, overcoming and Holy Church that is connected to Him. The believers who will be watching and praying by being filled by the Holy Spirit will escape God's wrath. Others who do not take heed to this command will be left behind with the unbelievers to face God’s wrath. Yet their Soul will be saved because of their deep repentance by faith and patience after the rapture. They will reject the seal of Antichrist and will not worship him (Rev 13:10, 15-17;16:2). Most of these saints will be martyred and killed with the sword (Rev 13:10; 7:13-17). The Church is spoken in the scripture symbolically as “the bride” (Rev 22:17), “the bride, the Lamb’s wife” (Rev 21:9), also Jesus is spoken by John the Baptist as the bridegroom who is rightfully having the bride who are the saved people of God (John 3:29), Apostle Paul spoke of the Church as a chaste virgin presented to Christ (2 Cor 11:2; 1 Cor 7:34). In ‘the parable of the wise and foolish virgins’ the whole Church is represented to be a virgin which means ‘the Church at large’ at the time of the rapture (Matt 25:1). As the oil is symbolic of the Holy Spirit inside a believer (1 Sam 16:13; Luke 4:18; 1 Cor 6:17, 19-20), only the wise took oil in their vessels with their lamps (Matt 25:4). The foolish virgins were not really saved by believing in Jesus Christ because they had ‘the lamp’ with them which is symbolic of being a part of the Church which is the lamp stand (Rev 2:1). They were not careful enough to take the oil with them which in itself shows that they were not real born again believer but were acting as though they were also a part of the real Church. Only those who are sealed by the Holy Spirit and have Him within them are the real Church (Matt 25:3; 2 Cor 1:22; Eph 1:14). Also Apostle Paul in his Book to the Romans said “Now if anyone does not have the Spirit of Christ, he is not His.” (Rom 8:9). Now the question arises, what then were they doing inside the Church then? They were playing Church but in reality they were denying its transforming power by not taking with them the oil of the Holy Spirit by receiving Jesus Christ as their Lord and Savior (2 Tim 3:1, 5). The wise knowing they were sinners in need of a Savior, accepted Jesus as their Lord and Savior watchfully (Matt 9:13; Mark 2:17; Luk 5:32). Nearly half of the end time Church was foolish enough to act as though they were saved and the other half of the end time Church were wise enough to be saved by accepting Jesus Christ as their Lord and Savior. This is the very reason when the foolish virgins came to Jesus right after the rapture saying “11 “…, ‘Lord, Lord, open to us!’ 12 [Jesus] answered and said, ‘Assuredly, I say to you, I do not know you.’” (Matt 25:11-12; Rom 10:11-13). Another great point that should be appreciated in this parable is that both the foolish and wise began to sleep. To sleep is to be conformed to the world rather be transformed by the renewing of the mind. To sleep is to walk not in faith, love and the hope of salvation (Rom 12:2; 1 Thess 5:4-9). Thus it proves that it is not their behavior but their belief in Jesus Christ as the one who died for them in order to receive forgiveness from God for all their sins as a substitute made these believers to live by faith based on the fact of the finished work of Jesus Christ on the Cross surely saved the sleeping but wise believers. In other words, both the saved believers and unbelievers were not expecting the Lord based on their poor behavior of sleeping before that moment of rapture (Matt 25:5). When the mid night cry was heard the whole Church began to correct their actions, the foolish virgins only at that point realized that playing Church cannot qualify them to be part of the rapture to the wedding of the lamb (v 6-7). The foolish said to the wise to give their oil, the wise said to the foolish virgins that the oil of the Holy Spirit cannot be given because “…lest there should not be enough for us and you; but go rather to those who sell, and buy for yourselves” (v 9). Once realizing their own foolishness when they try to hear the salvation message at that time of rapture, no true believer or a minister of God will be left behind to share the truth of salvation by grace (Rom 10:14-17; Eph 2:8-10). The truth of salvation by grace and the oil of the Holy Spirit that comes as a guaranteed seal of salvation can only be received by one’s personal belief in the Lord Jesus as one’s Lord and Savior (2 Cor 5:5, 7). By the time the foolish realize their folly, the rapture would have already taken place. These foolish virgins will have only two choices to make at that time, either they can confess themselves as believers in Christ and go through the persecution and eventually death execution of the Antichrist, or accept Antichrist as their god by receiving the seal of the beast and be lost for eternity away from God just for the sake of temporal earthly gain that he will give (Rev 13:7-10, 16-18). But the saints who will not receive the seal of the Antichrist by their patience and faith in the eternal things of God will be saved for eternity to be with God in His blissfulness (Rev 13:10, 7:13-17). The door to the wedding of the bridegroom will be closed as the bride will be no more left here on the earth (Matt 25:10; 22:1-14). Thus Jesus is saying to our end time generation to “Watch therefore, for you know neither the day nor the hour in which the Son of Man is coming.” (Matt 25:13). Watching is truly effortlessly walking out the salvation that we receive by faith. Thus receiving the true salvation of Jesus Christ that God gives freely and thereafter walking by faith is essential to be part of the greatest escape of all time which is the rapture of the saints (2 Cor 5:7).